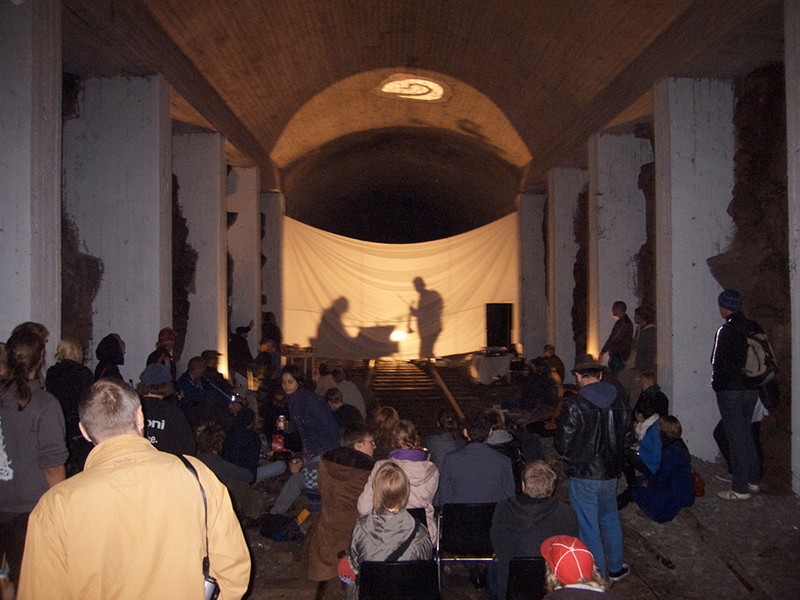 HIGH CULTURE UNDER GROUND was a happening/intervention organized by Tatu Engeström on the 12th of September 2009. The work consisted of four main elements: An invitation card which included a map to the location. These were distributed hand to hand and also through galleries and the Finnish academy of fine arts. 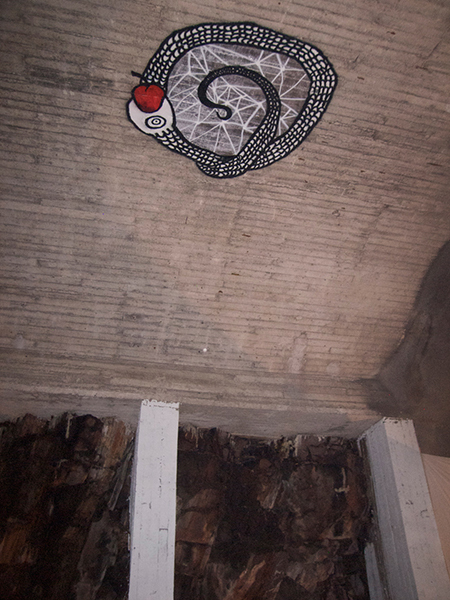 A painting was made on the sealing of the space up in the height of seven meters and also ten concrete pillars were painted white. Lighting was a very important element because otherwise the location is completely dark. And fourthly, a music performance was part of the happening. 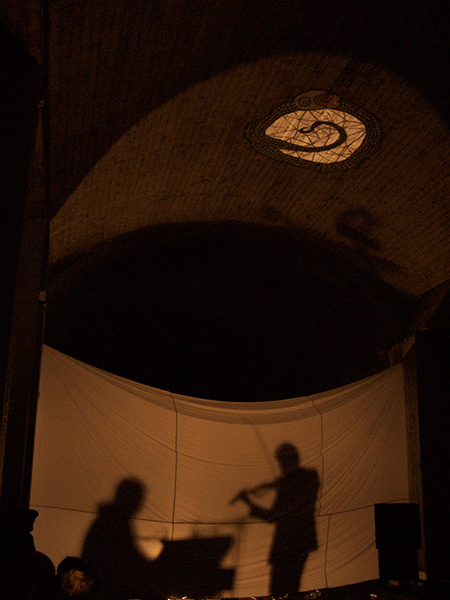 Two musicians, Juuso Kontiola improvising on a pump organ and Aleksi Trygg on an electrical violin, were visible to the audience only through their shadows, being placed behind a white curtain, with a strong light from their behind.